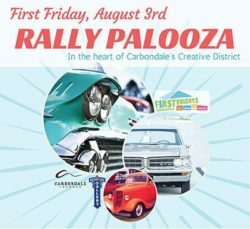 The annual Hot Tubs & Hot Rods First Friday event returns with a new name, Rally Palooza! This year, we’ve expanded our hot rod entrants to include classic cars, motorcycles, electric cars & bikes, and more! 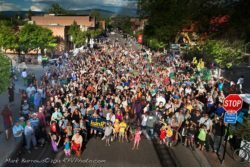 Vehicles will be on display in the heart of Carbondale’s Creative District on Main Street from 5:00pm to 8:30pm, with clean up promptly before 9pm; Main Street must be fully accessible by 9pm. This month's First Friday will feature Rainbow the Fairy bringing fun for the whole family as well as the Running of the Balls! Get ready for the first-ever Running of the Balls, brought to you by Ace Hardware of Carbondale and benefiting Carbondale Rotary! Purchase adoption tickets for only $10 apiece for a chance to win the grand prize of $5,000! Look for tickets for sale from our Rotarians and Mt. Sopris Rotary Club andCity Market Carbondale outside Ace Hardware in Carbondale at select times and through our youth non-profit partners, SoL Theater, Ascendigo, and YouthZone! Click for more details and event flyer.